Mixed Tour 2 Review: A mixed bag. 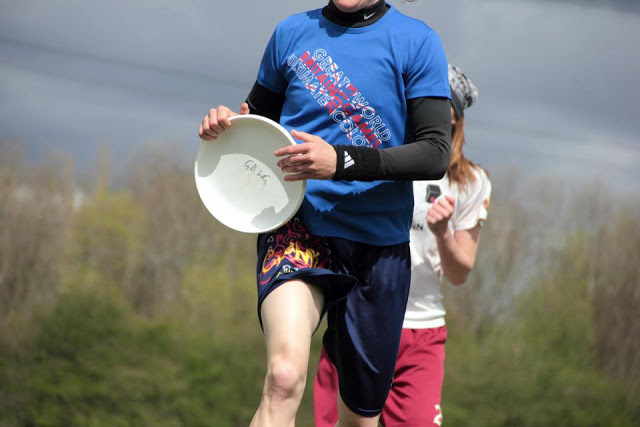 A review of the second Mixed Tour event held in Manchester. 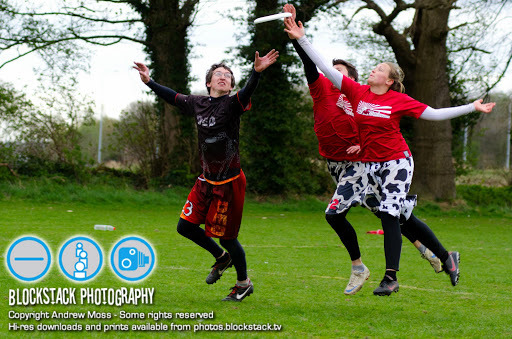 Last weekend saw 52 teams from all around the UK converge on Manchester for Mixed Tour 2. The seedings for this Tour were, on the whole, more accurate as they were based on the finishing positions for Mixed Tour 1 but some teams still felt they had a lot to prove and wanted a shot at the top spot currently held by the World Games squad. With the WG squad being selected we lost one team from the tour, as well as the Irish u23’s. This paved the way for a couple of teams on the waiting list and bumped a few teams up a seed or two. DED vs Herd 1: Matthew Hodgson grabs over his team mate whilst pressured by Luke T. Courtesy of BlockStack. The info graphic below shows how teams moved from their initial seed to finishing place. Fun fact – Five teams retained their initial seed: WG (1), DED (6), Bear Cav 2 (29), Brixton (46) and Flyght 2 (48). This was Team Shark’s first appearance of the season and they were probably slightly under seeded but a great jump up into top of the bottom half. Great work from Flyght, JR, Devon and Some Team to truly beat the system. Magic Toast (having picked up some of the WG trial players) got themselves back where they belong in the top 4. The final, between World Games and Royal Goaltimate Society, started off a rather one sided affair with WG taking the first half convincingly. However, RGS were not going to sit back and let them win easily. A second half comeback brought them within a couple of points, but the athleticism and experience on the WG squad told in the end and they finally pulled away to take the title 15-8. Guess the WG player? Courtesy of Rien de Keyser. My final note is one on the sadder side of our sport: injuries. In rather innocuous circumstances, a Scarecrew player suffered a dislocated knee and broken ankle that not only ended her game but the entire game. Josh and I would like to wish Eley Haslam a speedy recovery and look forward to seeing her on the field when the time is right. To everyone else, please stay safe and do your fitness!! See you at Mixed Tour 3 in a couple of weeks in Cheltenham. 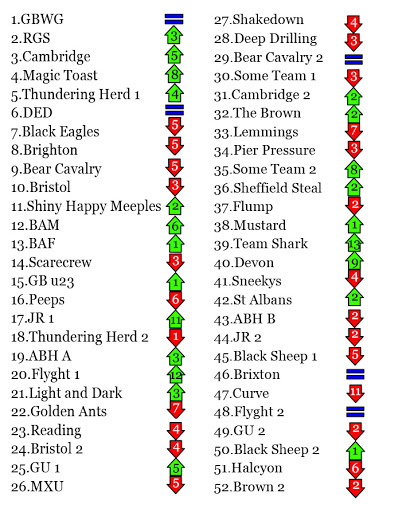 The ups and downs of Mixed Tour 2 (comparison of initial seed to final position). Want to contribute please email us at showgameblog@gmail.com. Or simply like what you see? Comment, like, tweet any feedback is welcome! 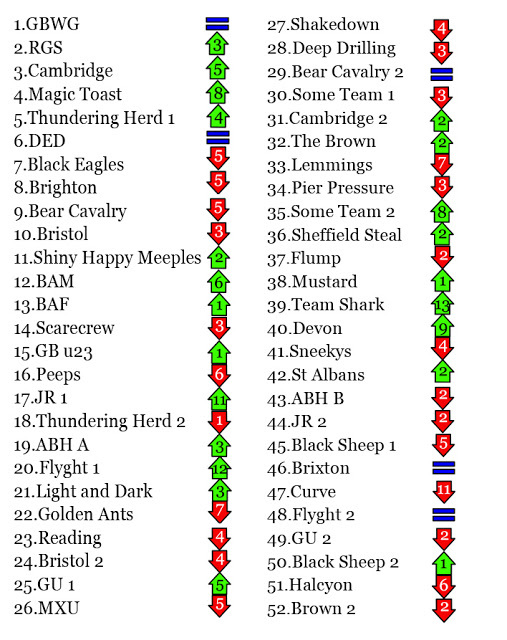 Largest differences* between ukumt1 seeding and ukumt2 finishing positions:+24 Flyght Club 1+16 Sheffield Steal+15 Some Team 2-10 Flump-12 Golden Ants-13 Peeps*including apparent success due to adjustments from ukumt1 results to ukumt2 seeding.Anyone feeling clever enough to work out a 'true' overall movement? Already planned for when we have overall tour positions (MT1-3): how they changed based on seedings and between tours :).